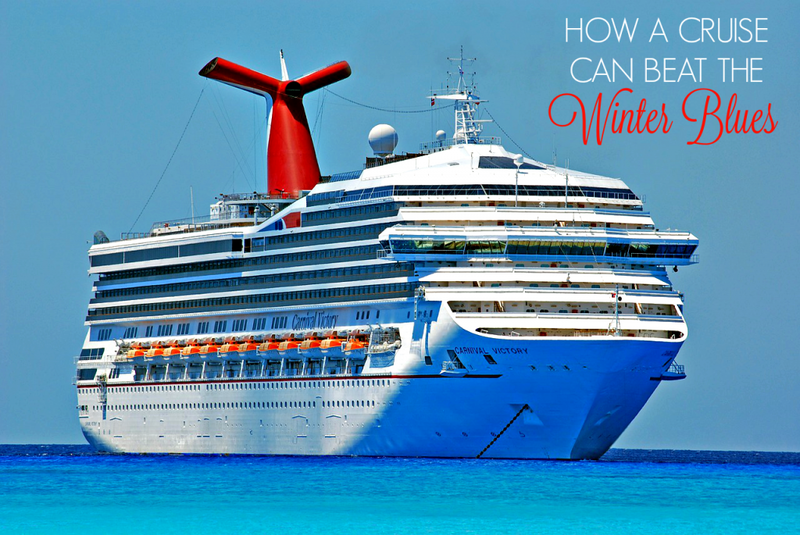 How a Cruise Can Beat the Winter Blues. We’re an adventurous family. You can that we are well and truly bitten by the travel bug, so for us, heading off for some winter sun is second nature. For those of you who need a little convincing though, here are a few reasons why a winter cruise is the perfect way to ring in the New Year. If you’re a sun-lover like I am, the winter months can feel a little depressing. The long dark nights and the bitter cold weather. So, why not cheat a little and spend your winter in a tropical paradise? Cruises offer a great way of soaking up the sun in more than one location so you’ll never get bored by just sitting on a beach if that’s not your thing. Planet Cruise offers a variety of destinations, from the Caribbean to the Canary Islands. Whether it’s sailing around the Mediterranean is something you prefer or heading to the bright lights of New York, they’ll help you find what you’re looking for. But don’t forget, it doesn’t have to be a sunny holiday– you can always head for colder climates. It might be log cabins and spectacular glaciers that draw you in. Perhaps taking a cruise around Scandinavia or Alaska is your thing. Place where you can bathe in their renowned hot springs, see the Northern Lights or go on wildlife tours. Cruises are the best way of seeing multiple locations for people who like the security of having everything taken care of. This approach also means that you get the unforgettable moments that come with experiencing other cultures. You don’t have to restrict your tours and excursions to one part of the world, why not several? You can sample several different cuisines, buy souvenirs from different street markets and see the natural wonders they all have to offer in just one holiday. Plus, due to cruises catering more to younger families (like us), the traditional peak-season in summer means that now is the perfect time to book. After the pampering and indulgence of Christmas, we all want that holiday feeling to last a little longer. The cruise is the perfect solution because everything is catered for you. All you need to worry about is showing up. Most people think that cruises are expensive but fail to realize just how much a cruise includes. That’s a big list, so make sure you check out what you’ll be getting as part of your deal when you book. Of course, different cruise lines offer different things included in your price. So, always double-check what yours include. Most importantly, I don’t think you ever need an excuse to get out of this cold! Have you ever been on a cruise–how did you like it? Never been on a cruise but I would love to take one at some point. I love that you can see several destinations on one trip. It must be lovely taking a cruise,so much to see and do ! It really is, they are very affordable nowadays too. Thanks Nancy,maybe hubby and i need to add a cruise to our bucket list !